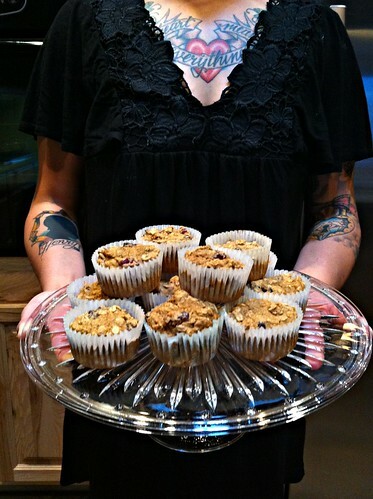 Sometimes Sweet: Recipe: Clean-Eating Applesauce Oatmeal Muffins! 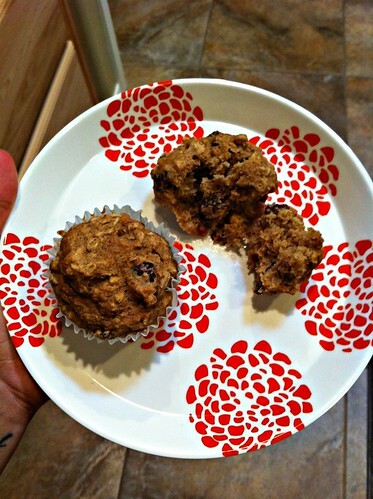 Recipe: Clean-Eating Applesauce Oatmeal Muffins! So I have this little thing I like to call a sweet tooth. I'm not really sure where it developed, or when, but it's definitely there, and most nights I find myself craving something (anything!) sweet after dinner. I typically try not to eat past 7, and while I'm not much of a late eater anyway, I do like a little sweet treat here and there. I try to minimize the amount of processed food my family eats, so a clean-eating lifestyle really works best for us. 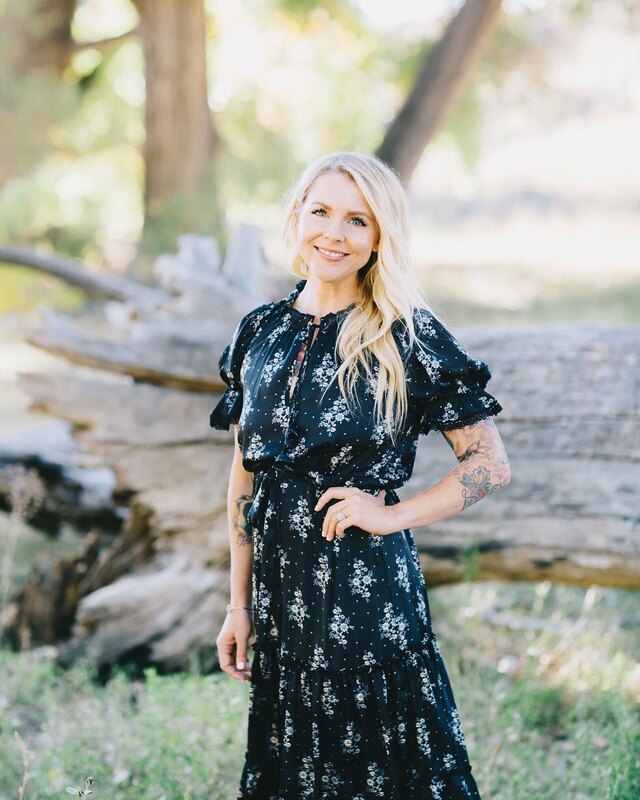 Luckily there are a million delicious "real food" concoctions just waiting to be cooked or baked, and I find many of my most favorite recipes from one of my favorite clean-eating ladies, Tosca Reno! This recipe in particular comes from one of my most-loved cookbooks- The Eat-Clean Diet Cookbook (you can also get it via Amazon). Tosca has put out quite a few books all about clean-eating and we own a lot of them; they're great! So, today's recipe is from that book! Happy cooking, and enjoy! *if possible try to get these from your health food store- "juice sweetened" or unsweetened dried fruit works best. The typical store bought dried cranberries, etc. are loaded with unnecessary sugars. 1) Preheat over to 375 degrees. Prepare muffin tin with cupcake liners. 2) Combine oatmeal, applesauce, milk, eggs, flax and oil in a medium bowl. 3) In another medium bowl, combine dry ingredients, including dried fruit. 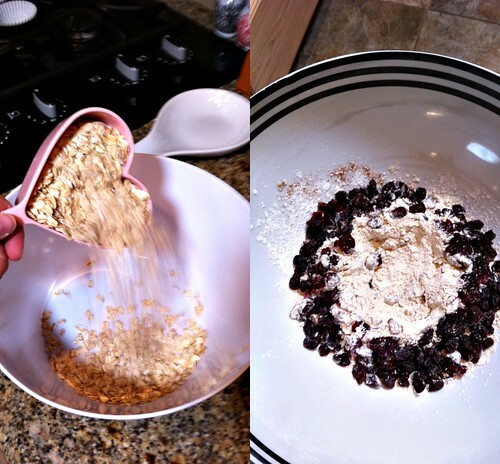 4) Make a well in the center of the dry ingredients and pour wet ingredients into it. Stir until all ingredients are just combined. 5) Fill muffin cups 3/4 full. Bake 15-20 minutes (I bake mine for about 15-16). Cool. And enjoy! I usually like these best after they've cooled and sat for awhile. They are beyond delicious, and healthy too! I also crave sweets at night and find that not eating past 7/7:30 really helps to minimize the effects of said sweets. I love your countertops and your heart shaped measuring cups :) Cute!!! I'm going to have to try this recipe! Yum. :) Also, where did you get your adorable heart shaped measuring cups??? I'm a late night sweet eater. I try not to, but there's some magical force that pulls me towards the fridge to look for something with sugar in it in the evening. These look tasty! I'll have to try it! Where did you get such amazing measuring cups?? I also have huge sugar cravings, especially at night, these sound like such an awesome idea! I tried to start satisfying my sugar cravings by drinking smoothies, but I'm not really sure that's much better. I've been meaning to implement a no eating after 8pm goal for myself, but we're so bad about making dinner way too late and our erratic schedules! No time like the present to start though! yum! those look amazing! i will have to try these for sure. Looks good! Love the heart shaped measuring cup! Yum! I eat clean too! it's hard because I have a sweet tooth! Love this recipe I so am going to try this! Also, you can subsitute honey if you make your own whole wheat bread! I also am a smoothie fantatic! I love spinach-strawberry smoothies It's better than icecream.... 1 banana, 2 cups baby spinach, 3/4 cup skim milk, 1/2 strawberries, 1/2 cup Fage Greek yogurt! Very good for you! only has 4.5 grams sugar and it makes to eight ounce cups. I make this whenever I want something sweet! 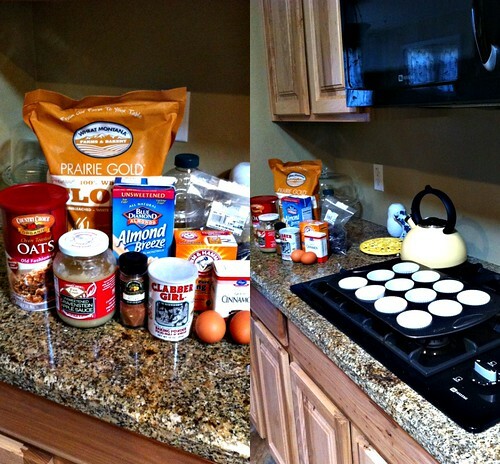 healthy muffins? I'm all there! I might try them at the end of the week. they're probably good for breakfast too.. thanks for sharing! These look good,thanks for sharing! Sounds yummy! Since I got diagnosed with celiac I've had to be militant about reading labels, but somehow I always find a way to eat total crap (though it is gluten-free). My sweet tooth is out of control, truly. This is a super delicious recipe I will have to add to my baking to-do list! I love finding new ways to make delicious, traditionally "bad for you food" healthy. Yum Ill have to try those. I made some not too long ago very similar and they wear so good. They look delightful! I have the same pink heart measuring cups. uh these look great! Love your cake platter and the dress (or is it a shirt) youre wearing here! Thanks for sharing my recipe with your readers. This is certainly an Eat-Clean favorite! Enjoy. These look so healthy and delicious. I'm always searching for clean breakfasts on the go. Can't wait to try them!